Who Does This Subwoofer Appeal to? Conclusion – Is The Mackie SRM1850 The Right Subwoofer For You? Getting the most power out of your sound setup is going to be very important. 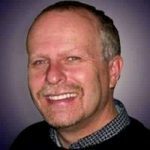 If you are a musician, then you know that you need to be able to get loud sound when you need to reach a larger audience. Sometimes, you will need a high-quality subwoofer to supplement your other speakers. Getting a good subwoofer can really come in handy for other purposes, too. If you have a subwoofer that is truly professional grade, then it is going to give you amazing sound quality. This can improve the audio experience and really give you the full sound that you are looking for. When you need woofers that deliver a chest-pounding low-end performance, it is smart to consider buying the Mackie SRM1850. This subwoofer is amazing in many ways and is something that is regularly used by professional musicians all around the world. This is a subwoofer that has appeal outside of the realm of touring musicians, too. If you have been looking for a good subwoofer to make your home audio setup sound better than ever, then you will want to consider this very seriously. It is somewhat costly, so it makes sense to dig into the details before coming to a final decision. Take a look at everything that this subwoofer has to offer so that you can know whether or not it is the right fit for your situation. This is definitely going to appeal to musicians the most. This is a truly professional-grade subwoofer that has many amazing features. It will work very well for any type of touring musicians. 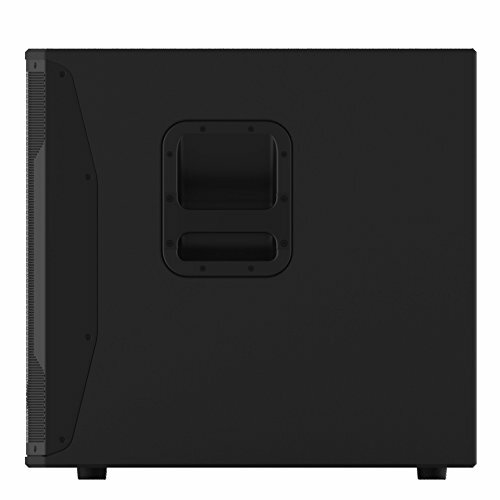 They will be able to take this subwoofer on the road with them, and it will work well when paired with loudspeakers. This can fill in your sound to really make sure that everything sounds full when you need to play in a larger room. Bands will be able to use this subwoofer effectively in the studio and in practice situations, too. This is going to be a product that any type of musician will be able to get a lot of use out of. It has the right mix of features and compatibility that you need in a subwoofer. Being able to get the amazing sound that you need is possible when you make use of a high-quality subwoofer such as this. Professional DJ’s are another crowd that will fall in love with this subwoofer. It is capable of providing you with incredible bass that can fill up a room with sound. It will be great for dances and can also work nicely for something as simple as a karaoke night. It is a bit on the heavy side for a DJ subwoofer, but it will definitely provide you with the power that you are craving. Churches can use the amazing sound capabilities of these types of subwoofers, too. It will help praise and worship music to sound great and will allow churches to play as loud as they need to. If your church is quite large, then it makes sense to pair a subwoofer such as this with some loudspeakers. It allows the sound to carry throughout the building and gives you the results that you are looking for. If your church needs better low-end sound during praise and worship time, then this subwoofer is going to be able to provide it. Some people even choose to make use of professional-grade subwoofers such as this for their home entertainment centers. If you are looking for deep bass sounds that will blow you away, then this is definitely a subwoofer that will please you. Hooking this up to your entertainment setup will give you truly vibrant sound. It can improve the sound of your video games, movies, music, and much more. Some might even see this as too much sound for an entertainment center, but it will work well if your home is large enough to warrant it. The only thing that is going to come inside of the box is going to be the Mackie SRM1850 itself. You will not be receiving any extras, such as cables, in this package. This means that you may want to order some extra cables or other particulars for your new subwoofer. It depends on what you want to do with it. It certainly will work great right out of the box, but just be aware that you may need some extras if you want to set it up in a specific way. The first thing to note about this subwoofer is that it offers a ton of power. This is a 1600-Watt subwoofer that is capable of giving you the big sound that you are craving. This is all paired with an 18” woofer that gives you the incredible low-end sound that you need. It’s perfect for making your live performances sound great, and it will also have a number of other applications. This subwoofer is built completely out of wood, too. This means that it is heavy duty and will stand up to the rigors of the road. If you plan on taking this studio monitor on tour with you, then it will be able to stand up to being toted around without having any problems. It is internally braced so that you will not have to worry when you are transporting it. This can stand the test of time for you, so you don’t have to worry about your money being wasted on something that won’t last. Compatibility is important when it comes to choosing a subwoofer, as well. 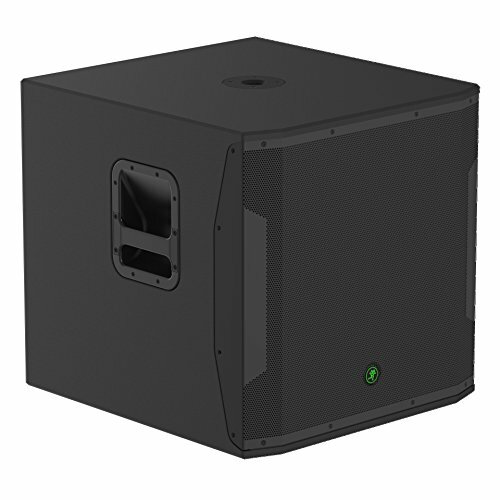 This is specifically designed to link up with Mackie loudspeakers to provide you with the excellent sound setup that you need. Buying several loudspeakers and linking them with the Mackie SRM1850 will be a great experience overall. It is easy to make use of it in this way, and the sound will be incredible. 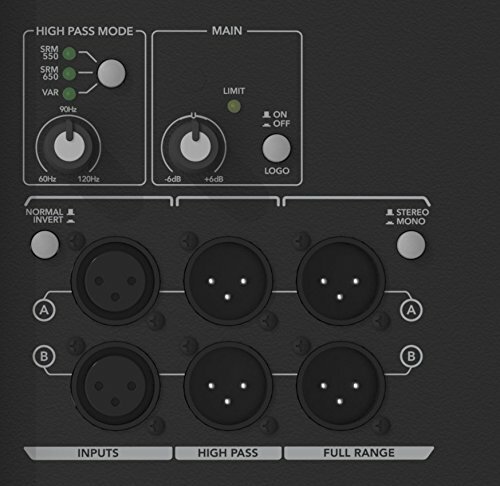 Other important features include stereo XLR inputs that feature full-range and high-pass outputs. It also has integrated digital crossover with variable control and presets. The presets are specifically designed to link up with the SRM550 and the SRM650 loudspeakers. It makes it really easy to use this subwoofer to its full potential right away. One slightly less powerful subwoofer that you can think about using as an alternative is the Yamaha DXS12. 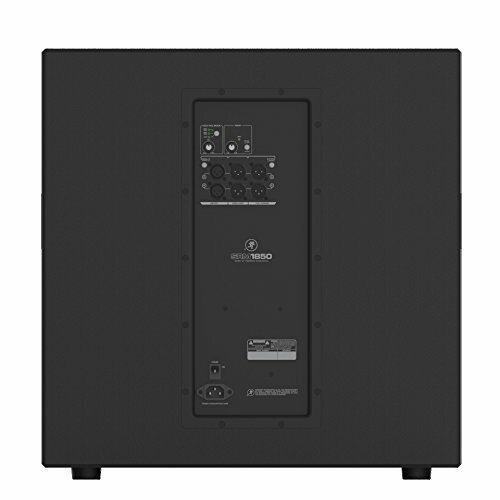 This is a very good 950-Watt subwoofer that has multiple crossover settings to fit any application. It is designed to be as compact as possible while also offering very big power. It doesn’t quite stack up to the Mackie SRM1850 in the power department, but it comes in at a lower price, making it worth your consideration. You will be very pleased if you do decide to purchase the Mackie SRM1850. This is a very good subwoofer that is practical for professional musicians. It will work well for amateurs, too, and it will even fit right in at a church. This can provide you with great sound, and it is simple to pair it up with Mackie loudspeakers to enrich live concerts. If you want to get a subwoofer that offers you the best experience possible, then this might be the one for you. It is fairly cost effective when you consider everything that it offers, too. It is built very strong and will stand up to regular use so that you won’t have to worry about it. This is a great unit that you will be proud to own.